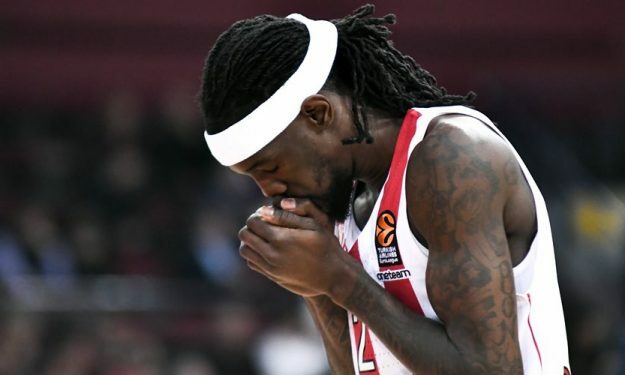 Olympiacos has just three available guards, after the season-ending injuries of Vassilis Spanoulis and Janis Strelnieks, however, Briante Weber is not expected to stay much longer in Greece. The player misses the States, Olympiacos is not satisfied by his behavior during those two months and both sides seem to have agreed on a “mutual divorce” which is expected to be officialized soon. Weber was added on the team at the 6th of February and he had a solid performance in the EuroLeague, averaging 11.6 ppg, 4.6 rpg and 2.6 asp in eight games. It was not enough for Olympiacos to qualify for the playoffs. According to the Greek League rules, every team must finish the season with the same number of non-Greek players that they started. With Weber out, Serb prospect Aleksej Pokusevski can be activated. The 17 years old forward has already made his EuroLeague debut.